148 photos in database by this submitter. 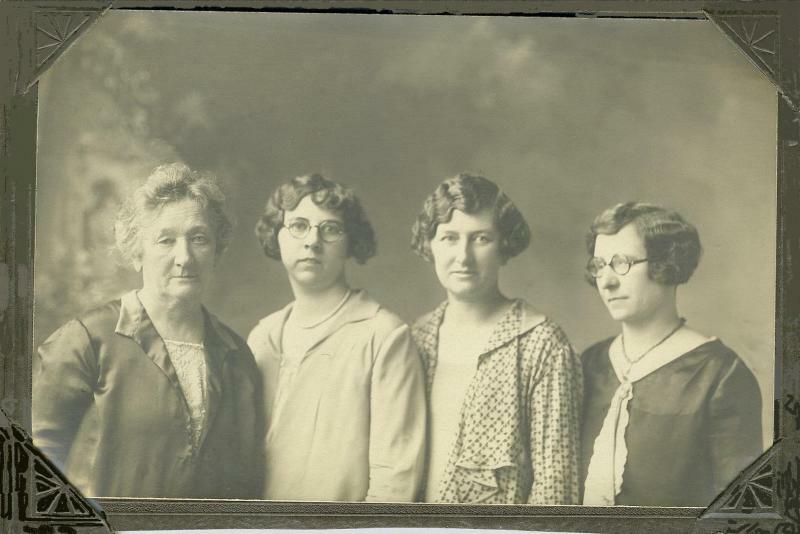 Comments: Cora M. Perrine (Nee: CORMENY) | NE USA | 1921-1940 | Comments: Florence June SIMMONS Cormeny & Daughters. LtoR: Florence (b. 7Jun 1866, d.31 Aug 1944); Mae Genevieve CORMENY (b.23 May 1903, d. 9 Oct 1994); Alice Amanda CORMENY Udey Fruhof (b.29 Jun 1884, d. c.26 Nov 1976); and Cora M. CORMENY Curtright Perrine (b. 28 Sep 1891, d. 23 Feb 1983). Mae never married. If you are related to any of these people we would love to hear from you.